of technical fluids in the picoliter to microliter range. 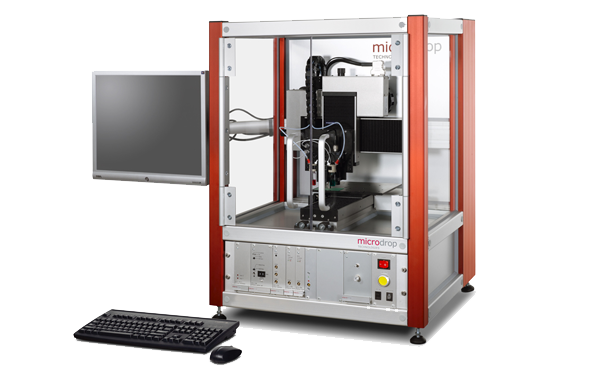 The dispenser heads and pipettes are based on piezo-driven inkjet printing technology. The contact-free dispensing starts with single droplet volume of 20 pl volume. 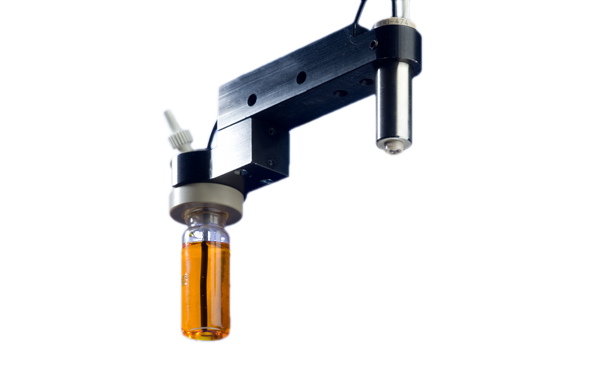 The Nanojet dispenser units are a valve based technology for precise liquid dispensing in the nanoliter to microliter range. 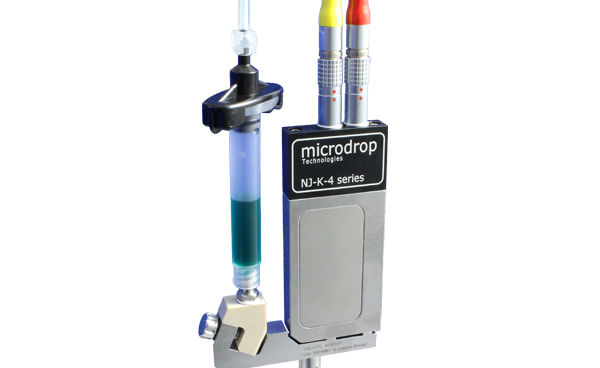 The dispenser units of microdrop can be integrated into one of our positioning system for R&D as well as production purpose. Expanded with peripherals it can be set-up individually.
" The spectrum of dispensable liquids is as broad as possible application areas!" Whether it is necessary to print the desired liquid in the picoliter-range with a high repetition accuracy or to set droplet on demand to generate small structures or adhesive points. 8 dispenser units. Whatever the application, our focus is on high quality products and service to find the best possible solution in close collaboration with our customer.